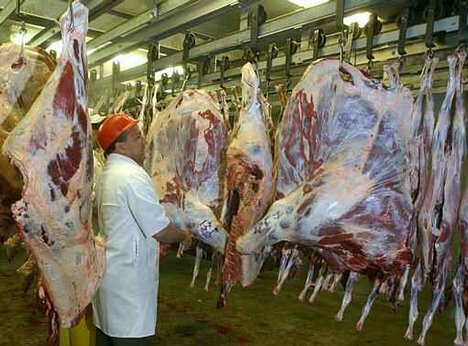 Lahore Meat Complex will resume slaughtering of animals after two weekly holidays an official said on Tuesday 20th March, and the administration has advised the butchers’ community to bring their animals to the complex without any fear. Administration of the meat complex has assured the butchers’ community that they would be given full protection if they bring their animals to the complex which is built by the government to ensure slaughtering hygienically and providing disease free meat to the citizen of Lahore. A spokesman of the company, in a statement issued on Tuesday said that certain quarters were trying to paint this step of the government taken in the larger interest of the citizens as political scoring. Haji Nawab, a representative of the butchers’ community has alleged that the butchers were receiving threats from different quarters aimed at stopping them from taking their animals to the complex for slaughtering. However, he vowed not to surrender before such threats in the interest of his own community.